WHY CBDfx Gummy Bears – 8ct Pouch? It’s a convenient way to take CBD wherever you go—in your bag, in your desk, or in your car—and get a dose whenever you need one. THIS PRODUCT IS PERFECT FOR YOU IF: You want a moderate, consistent dose of CBD on hand to keep feeling your best throughout the day. 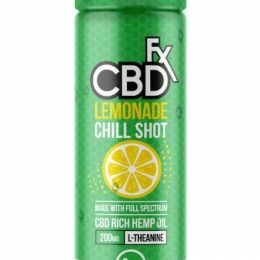 WHY CBDFX? CBDfx Gummy Bears have a sweet and fruity flavor people love. The chewy CBD candy is totally vegan—no animal gelatins—and all natural, so it’s safe for even the most sensitive adults and children. Our CBD comes from hemp grown organically at the best farms in Europe, which means it has no harmful chemicals and toxic residues. These CBD gummies are also made “without” corn syrup, or artificial sweeteners, flavors or colors. CBDfx Gummy Bears contain full-spectrum CBD—not just “isolates”—so they deliver all of the powerful benefits you want. HOW DO I USE IT? Follow label directions. Start with one or two gummies, depending on your body’s size and your experience with CBD. ANY SIDE EFFECTS? CBD edibles cause minimal or no side effects, including no psychoactive effects. Why do so many people rave about CBDfx CBD Gummy Bears? If you’re living with pain, you want the kind of relief Ashlyn tells us about. “I purchased [CBDfx CBD Gummy Bears] to help with pain, anxiety, and sleep and they help with all of it,” she says, “I’d recommend them to anyone.” Shanelle O. has chronic nerve pain and “can’t take other medications. [CBD Gummy Bears] have been a great alternative,” she says. Dorothy R. has been giving CBD gummies to her 88-year-old mother and reports “awesome improvements” in her comfort level. 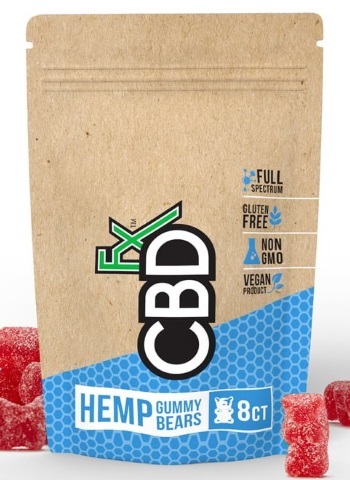 Do CBDfx CBD Gummy Bears work for anxiety? Right now, the scientific and medical communities are still studying exactly what the effects of CBD edibles are. However, many users report feelings of reduced anxiety, pain relief, and abatement of some symptoms associated with many major diseases. For a more in-depth look at the effects of CBD edibles, visit our Knowledge Hub for a scientific look at cannabidiol.